ANZ offers a range of personal accounts and services including internet banking, ANZ is the naming-rights sponsor for the ANZ Fiji Excellence in Tourism Awards. ANZ is fully committed to tourism in Fiji, which remains a key area of focus for the bank, along with agriculture, infrastructure and natural resources. ANZ supports these industries because they help a nation grow. With the growth of these industries, comes the opportunity for food security for the people of Fiji, better roads and transport services; more jobs and better living-standards. 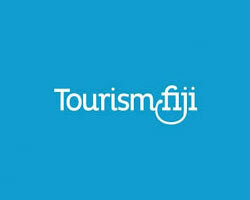 Tourism is a key aspect of Fiji’s economy, accounting for some 35% of Fiji’s GDP. This is significant and requires constant support to maintain steady, sustainable growth. ANZ is committed to supporting tourism to help grow the nation. ANZ’s presence in 12 countries across the Pacific and 34 markets globally also provides strategic connectivity for its customers and the industry. About ANZ in Fiji ANZ has had a presence in Fiji for over 135 years, and now has 14 branches and operates a network of 1790 EFTPOS and 91 ATMs across Suva, Nadi, Lami, Nausori, Sigatoka, Lautoka, Ba, Tavua, Labasa and Savusavu, servicing corporate, commercial and retail customers. Fiji is also the home of ANZ’s Pacific Headquarters in Suva and regional operations hub in Kalabu. 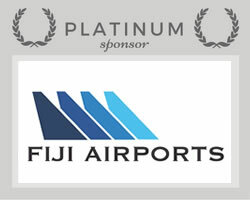 Fiji Airports have signed up as Platinum Sponsor for 3 years & have been involved with supporting the awards since 2009 when they signed up as Silver Sponsors, they enthusiastically embraced the opportunity to become a Platinum Sponsor when approached by ANZ FETA last year. “Acknowledging excellences in the Fijian tourism industry is a great endeavour by FETA and all of its sponsors” Fiji Airports Executive Chairman, Faiz Khan stated. Fiji Airports is a fully owned Government Commercial Company established on 12 April 1999 under the Public Enterprise Act, 1996. It operates 15 airports in the Fiji Islands including Nadi and Nausori International airports and 13 other domestic airports which are located on islands scattered over Fiji’s maritime zone. 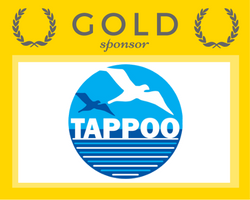 Tappoo have been committed sponsors for the past 6 years and were thrilled to formalise their level of sponsorship commitment having contributed very generously previously, particularly in showcasing some of their premium brands. Tappoo Executive Director, Kaushal Tappoo said, “We acknowledge that the tourism industry is at the forefront of the Fijian economy, and the Excellence in Tourism Awards night is about recognising those people who make a difference to the Tourism Industry.” “The event itself is about networking, socialising, and building strong partnerships so that we can together make a difference to the Tourism Industry.” “We are very proud of our association and support of the dynamic tourism industry in Fiji and we look forward to building our strong partnership with the Fiji Excellence in Tourism Awards for many years to come,” concluded Mr Tappoo. Currently at Vodafone we have committed, passionate and energetic employees who have a lot of drive, and continue to walk the edge in providing Fiji with the very latest technologies. We are here to delight our customers and will do the utmost on all occasions to bring mobile solutions to life for everyone in Fiji. 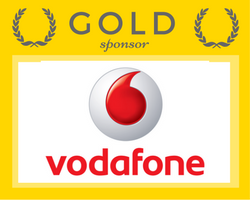 Vodafone works closely with Vodafone Group to provide support and solutions that are tailored for every individual offering a seamless local and international experience bundled with an abundance of strong, growing services. 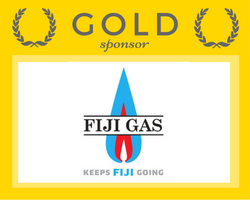 Fiji Gas is the largest end-to-end energy solutions provider in Fiji, spanning applications from cooking fuel to auto fuel, design and project management of energy solutions, domestic and commercial cooking ranges and servicing.